People often note that it’s a bad idea to compare small European countries with a country that is so big that it is comparable in size to the continent that the small country is a part of. I’ll go into a bit more detail about the differences in this post. It’s not ‘completely true’, but it’s very close – the area of EU-15 was 3,367,154 km2 (link). The area of the United States is 9.83 million km2. Some more random numbers, I used wikipedia’s numbers and I couldn’t be bothered to add links because it would have taken forever and nobody would follow them anyway – you can look it up if something sounds really wrong. Texas: 696,200 km2. France: 674,843 km2. (Metropolitan France – i.e. ‘France-France (+Corsica)’: 551,695 km2). Spain: 504,030 km2. California: 423,970 km2. Germany: 357,021 km2. Denmark: 43,075 km2. Netherlands: 41,543 km2. If you take a trip in Europe from Venezia, Italy to Amsterdam, Netherlands, you’ll travel ~1200-1300 kilometers depending on the route. 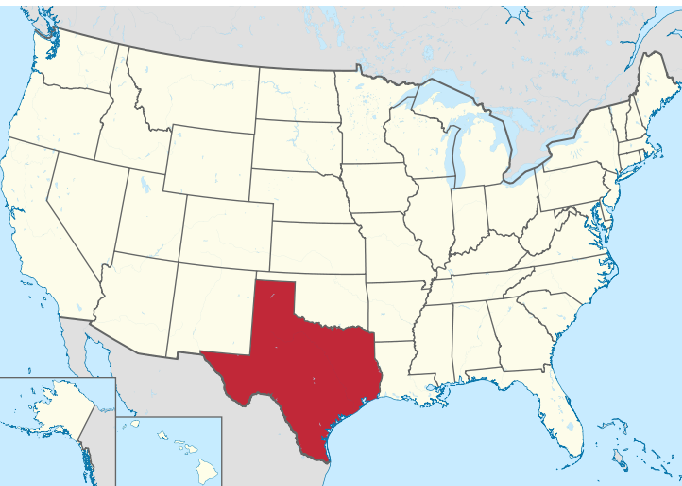 The lenght and width of Texas are both in the neighbourhood of ~1,250 km. Now, Arizona is another southern US state with an area of 295,254 km2 and a population of 6,4 million people. The Netherlands’ population is estimated at 16.85 million. If you combine the populations of Netherlands (16,85), Denmark (5,5) and Belgium (11 mill), those 33 million people are distributed over an area of ~115.000 km2. The (smaller) combined populations of Texas (25,1) and Arizona (6,4) have roughly a million square kilometers to deal with. Does it make better sense to compare Texas with France? And those small countries with, say, the state of New York? It probably would. But it’s really hard to find good matches here, in particular due to the problem with population density differences. If you do find areas that match on this metric, odds are they don’t exactly match on other key metrics. The population density of the United States as a whole is 33,7/km2. If you scale that up by a factor of ten, you get to the third most densely populated state, Massachusetts (324.1 /km2). 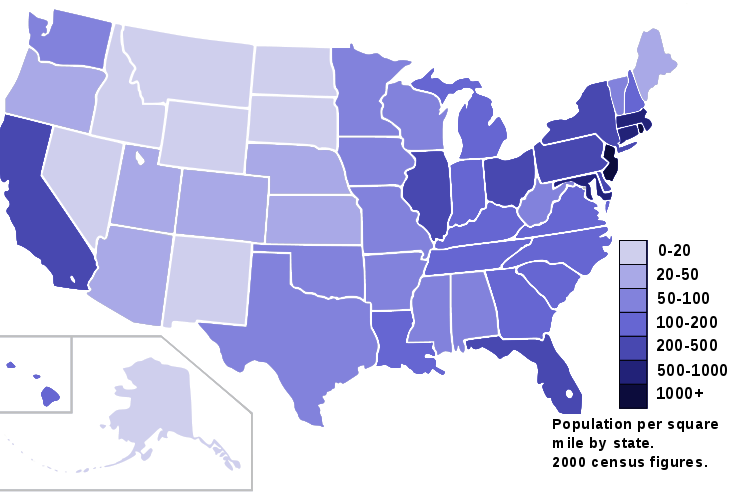 The population density of Massachusetts is somewhat lower than both Belgium’s (354.7/km2) and Netherlands’ (403/km2). The population density of Germany (229/km2) is comparable to that of Maryland (229.7/km2), which is in the US top five – Germany is almost 7 times as densely populated as ‘the US as a whole’. The population density of Great Britain is 277/km2, comparable to Connecticut’s (285.0/km2) – the state of Connecticut is btw. #4 on the US list. Italy is at 201.2/km2, between Delaware and Maryland – it would be on the top 6 if it was a US state. Americans like to use the expression ‘France and Germany’, but at least in terms of population density, there’s a huge difference between these two countries that I’m not sure they’re aware of: The population density of France is much lower (116/km2) than that of Germany, and rather more comparable to that of Spain (93/km2). All US states outside the top ten have population densities well below 100/km2, so note that even though Spain and France are relatively sparcely populated in a Western European context, France would be well within the top 10 and Spain just outside top 10 if the two countries were US states. 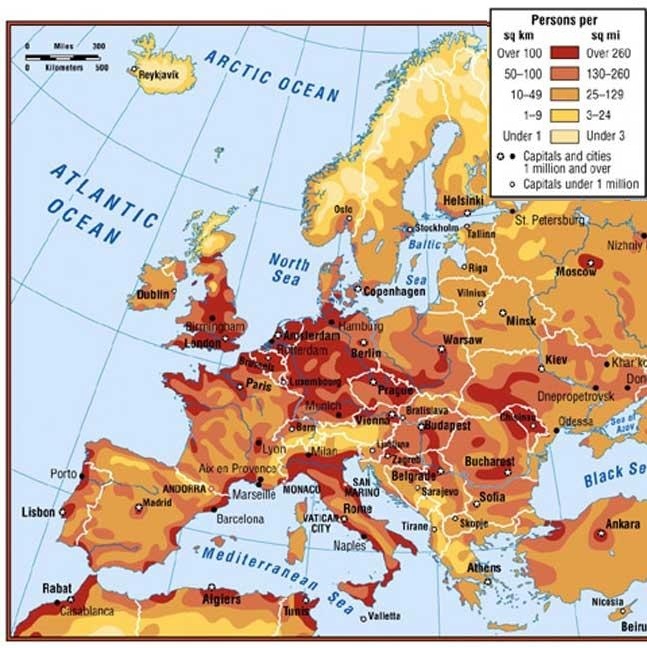 The average population density of the entire European Union, including a lot of Eastern European countries most Americans couldn’t find on a map, is about the same as that of France, 116.2/km2; 3.5 times as high as the US average. The population density of Iceland is 3.1/km2. As mentioned, the US average is 33.7/km2 and Belgium’s density is 354.7/km2. Remember these magnitudes. And yes, I know that the US population density is not homogenous and that a lot of it is almost empty. The population density of Europe isn’t homogenous either – to take an example, approximately one eighth of the German population – 10 million people – live in the very small Rhine-Ruhr metropolitan region (7,110 square kilometers, or less than 2% of the area). A fifth (12+ mill) of the French population live in the Paris metropolitan area. On the other hand, the population density of Norway, which even though she is a bit of an outlier is still very much a part of Western Europe, is 12,5/km2, comparable on that metric to, say, Nevada (9.02/km2) in the US. Let’s just say that a map of the US would look different. Yeah, a lot has been written about the Spanish/English-thing going on in the US. Well, intranational language barriers and -linguistic diversity aren’t exactly unknown phenomena in Europe either, despite the small size of the countries involved. 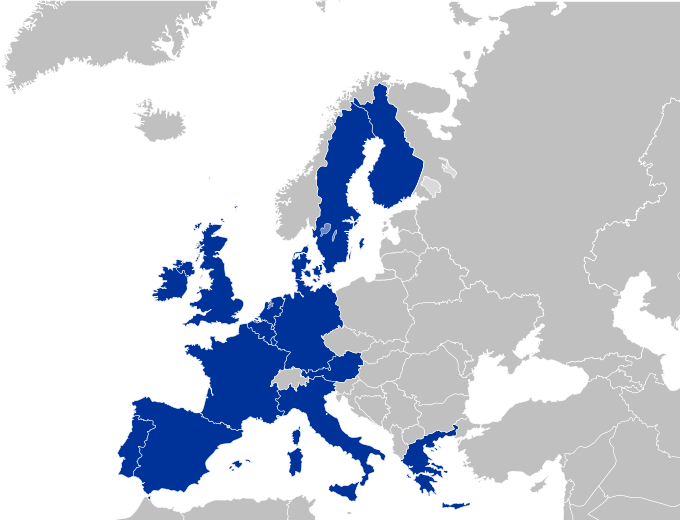 A thing worth remembering here is also that in many of the bilingual regions of Europe highlighted here, English is the third language. If you’re a US tourist visiting some European bilingual region and you’re annoyed people don’t speak much English, ask yourself how many areas of the US you can think of where people can hold conversations in, say, English, Spanish and French. Did you know that 90 percent of the human population lives on the Northern Hemisphere? I didn’t, before I wrote this.